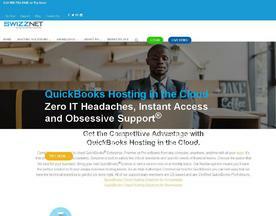 What is Online Quickbooks Hosting? Quickbooks Hosting offers Enterprise, Premier and Pro companies, looking to host their Quickbooks database in the cloud, SaaS (Software as a Services) which fulfil their requirements. 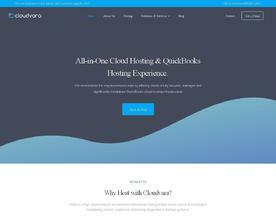 This hosting program allows end-users to have their licensed copies of QuickBooks desktop software installed on servers in an authorized remote hosting facility, and then access that software over the Internet on a virtual desktop via a secure connection and a web browser. These companies offer highly secure, robust secure and convenient environments for your QuickBooks data to be hosted in the Cloud. Cloud Quickbooks Hosting enables CPAs, accountants, and business owners to access their accounting files from anywhere, anytime and on any device. 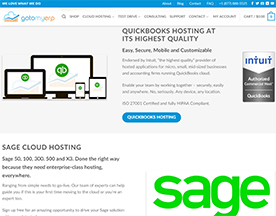 If you're looking for online software similar to Quickbooks Hosting Software, check out our Sage Cloud Hosting, Billing & Invoicing or Accounting Software categories. Fast and easy cloud access to QuickBooks® Enterprise, Premier or Pro software in the cloud anywhere, anytime. We offer instant setup, enterprise-grade security, Obsessive Support® and no unscheduled downtime. We’ll pay for you to try it free for 15 days.